NEW YORK – Jan. 24, 2013 – Pudding Games, a Vanilla Breeze brand for mobile casual and social games, today announced the launch of Gelato Mania for Android devices, following huge success on the iOS App Store. A new puzzle game, Gelato Mania has players making ice-cream treats modeled after picture-perfect confections. Gelato Mania features simple swipe controls, crisp animation, and catchy sound effects that will captivate and challenge puzzle-matching fans and newcomers alike. Download Gelato Mania free on Google Play today: http://play.google.com/store/apps/details?id=com.vanillabreeze.gelatomania.samsung. 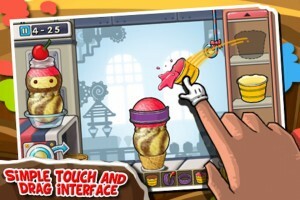 In Gelato Mania, players enter the sweets factory and work to replicate ice cream masterpieces. At the start of each level, gamers are presented with the customer’s order and a picture of that treat’s ideal version. They must replicate the sundae and ship it out, as fast as possible. Players use different flavors, sauces, scoops, and toppings to duplicate each gelato-puzzle creation, with a 3 star rating based on the speed and accuracy of each ice cream order. Gamers can use recipe hints to help solve tougher puzzles, with recipe books and additional hints available for purchase in-game. 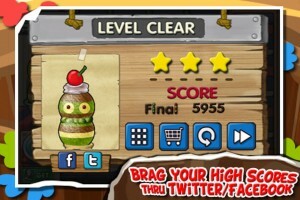 Check out the following link to see a gameplay video for Gelato Mania: http://www.youtube.com/watch?v=okfIBwIPhhw. Create your own ice cream confections and download Gelato Mania from Google Play now: http://play.google.com/store/apps/details?id=com.vanillabreeze.gelatomania.samsung. Based in Seoul, South Korea, Vanilla Breeze was established in October 2008 and develops quality mobile casual and social apps and games on all major mobile platforms. They are dedicated to combining creative ideas with new mobile technologies to deliver unique, fun, and engaging user experiences. Vanilla Breeze is known for creating the critically acclaimed i-Gun Ultimate and Gelato Mania. Copyright (C) 2008-2013 Vanilla Breeze. All Rights Reserved. Other trademarks and registered trademarks may be the property of their respective owners.